This weekend, I received my February box from Simple Loose Leaf. In it, I found a sample of a tea I’d actually had before. I had a cup of it (about half the sample) on Friday morning before going to mum’s, and had forgotten how much I enjoyed it. So when I had a quiet hour on Sunday, I decided to do a proper tasting in my guywan. Jade Oolong is a lightly oxidized oolong with rolled leaves that is, sadly, unavailable from the Simple Loose Leaf shop right now. Hopefully they get it back in soon! I drink a lot of black tea in the winter because it feels rich, warming, and comforting, but I do love a good cup of Oolong. 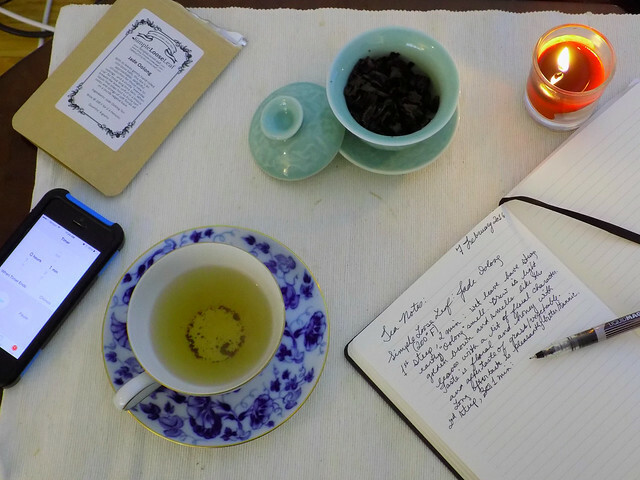 Jade Oolong is a classic floral Oolong with honey and grassy notes, and just a bit of tannin. It really shone in the guywan because the different steepings had distinct characteristic. It wasn’t until the third steeping that I really noticed a new wave of sweetness coming out. I was also excited to use one of the lovely holiday gifts Boyfriend got me: a new electric kettle! Our old kettle’s lid broke and we managed as best we could, but recently, it failed spectacularly enough that we had to retire it entirely. We had been using my office kettle for a while, but I awoke Christmas morning to find that Boyfriend had bought me a fancy new kettle. The new kettle not only will heat water to an exact temperature, but it will also hold the water at that temperature if you set it to. So I was able to set the kettle to 200 degrees Fahrenheit and keep it there while I did the various steepings. That way, I didn’t have to wait for the kettle to reheat in between. 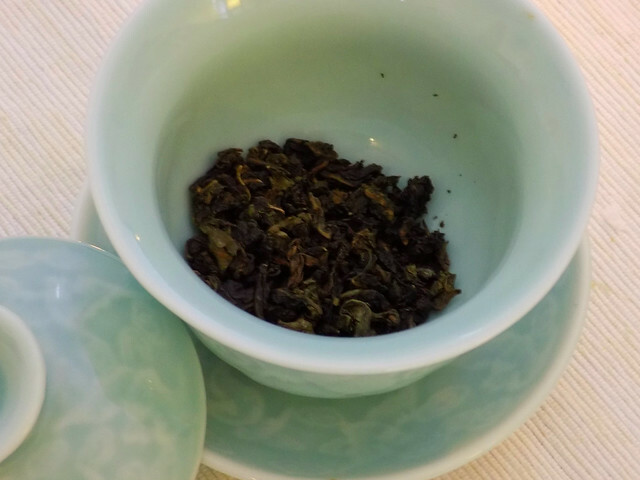 All in all, Jade Oolong is a medium-bodied tea with a golden color and a floral-grassy aroma. The flavor brings in more honey notes, and the first steeping finished with a long tannic finish. The later steepings gradually lost the bitterness and tannin, and the third steeping brought in a lovely bright acidity and sweetness. I drank four steepings before I stopped taking notes, but I had a fifth a little later on. It is a truly lovely tea and I hope Simple Loose Leaf gets it back in stock soon!